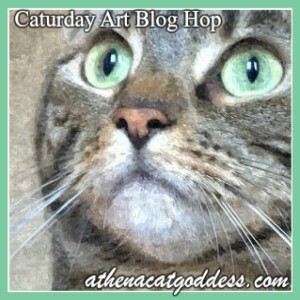 Athena Cat Goddess Wise Kitty: Caturday Art: Partied too Hard Already! Caturday Art: Partied too Hard Already! I've overdone it on the catnip, guys! 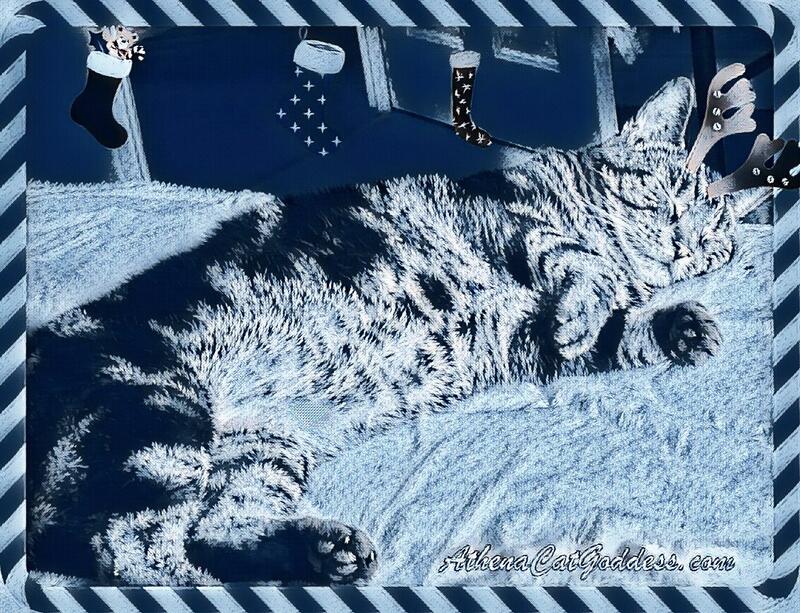 Mum made the above pic in PicMonkey and the below she went to LunaPic and added the Frost art filter. So sweet! Love the frosty pic! Good evening you beautiful girl. You look cute all tired out, and I like the frost effect too. Cool art! I just want to say... as long as you don't have to drive, overdoing the nip is not that bad! 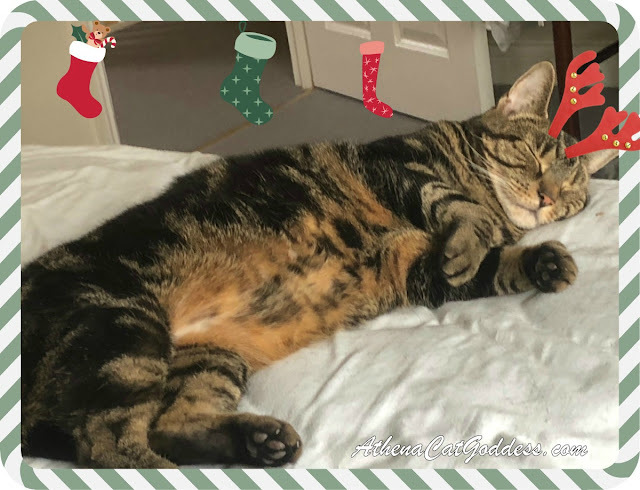 It's so easy to overdo the nip. Do you know it doesn't faze dogs??? Is that weird or what. We don't think you can EVER have too much nip! Great artwork! Athena, I just want to pet your sleepy belly! You look settled in for a long winter's nap! That's great art. I love what the filter did to the reds.